Managing Computer Impact describes research undertaken in eight organizations in five countries. 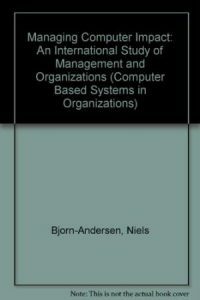 The approach determines the impact of computer-based information systems on organizations and management. Results at several levels of analysis support the conclusion that few changes are determined by computer technology.